Ladies and gentlemen! Children of all ages! 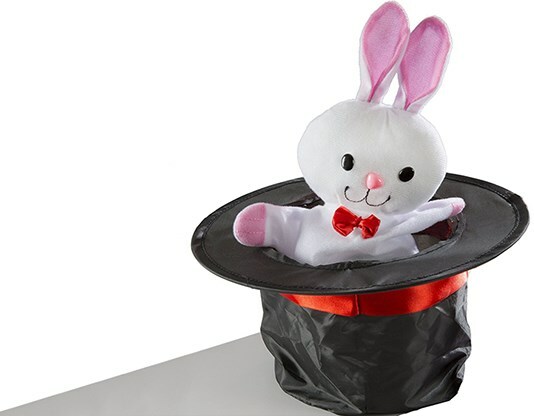 Step right up to the Fantasma Retro Magic Hat Show! 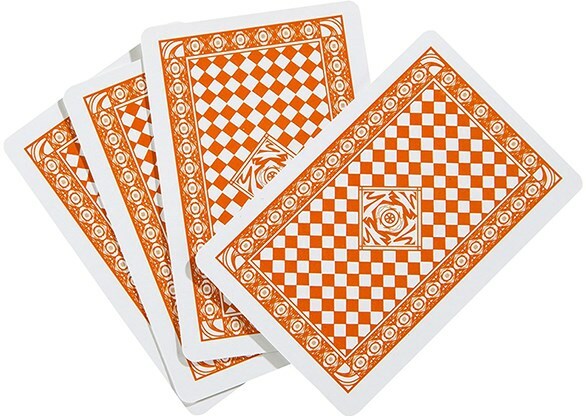 Spectators will gasp in amazement as you make handkerchiefs change colors, rabbits multiply, and much more. Ready to go out of the box, this set has everything you need to get started today. 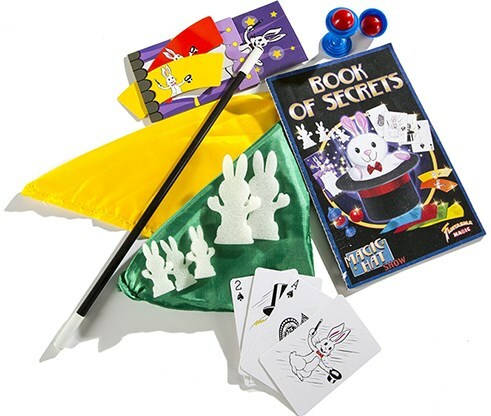 It includes a magic hat with secret pocket, rabbit puppet, appearing rabbit, magic wand, ball vase, foam rabbits, rabbit cards, bizarre boomerangs, as well as a downloadable instructional video and Book of Secrets, which will help you perform over 100 amazing magic tricks! 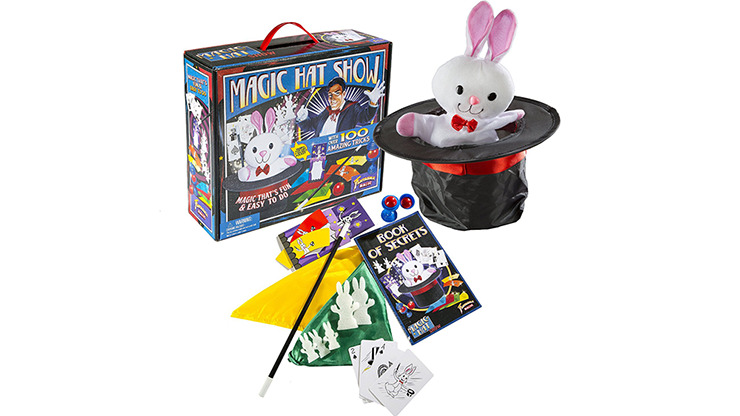 This set is designed to provide fun and easy magic tricks for emerging magicians. 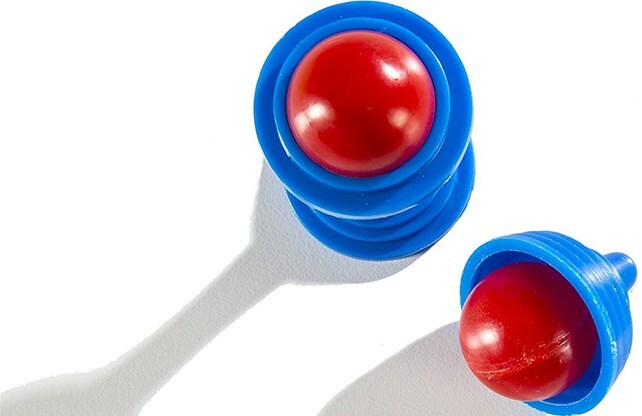 Magic play is great for hand-eye coordination, public speaking skills and building self-confidence, and this set is designed to foster all of them! 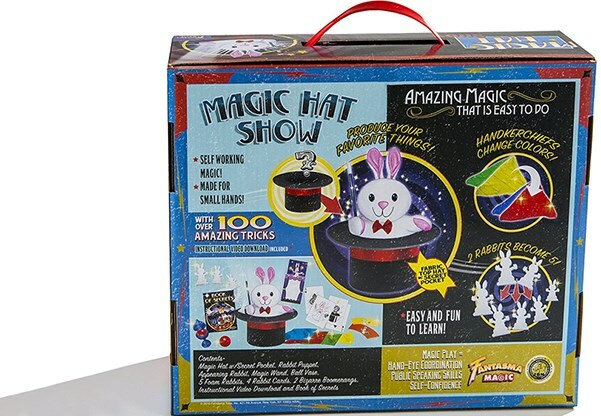 As with all of Fantasma's products, the Retro Magic Hat Show is endorsed by the International Brotherhood of Magicians-the only magic products on the market today to carry this seal. Perfect for children ages 5 and up.